Do you ever find yourself rubbing the back of your neck after spending time looking at your phone? If so, you may be part of a growing trend of people suffering from the effects of text neck. The human head weighs about twelve pounds. But as the neck bends forward and down, the weight on the cervical spine increases. At a 15-degree angle, this weight is about 27 pounds, at 30 degrees it’s 40 pounds, at 45 degrees it’s 49 pounds, and at 60 degrees it’s 60 pounds. 60 pounds? That is like carrying a child hanging from around your neck for hours every day! In addition to causing neck pain, symptoms of this increased weight on your spine include upper or lower back pain and shoulder or arm pain. We have even seen people in our clinic with hand pain as a result of subluxation issues coming from their neck. These symptoms seem like an inconvenience at the least, but over time research are concerned that they can ultimately lead to permanent pain and even arthritis. One alarming trend is that doctors are treating this condition more and more in children, who are spending time looking down at younger and younger ages. This can lead to permanent damage and is greatly contributing to the growing epidemic of opioid dependency. What can be done to prevent text neck? Keep your phone at eye level. This may seem obvious, but look around a room sometime and notice where most people hold their phone. You will have to make a conscious effort to do this in the beginning, but over time it can become intuitive. If you work at a computer all day, angle your screen so you are looking straight ahead. You may need to raise the screen up in order to achieve this. Work to keep your neck straight. Throughout the day, be mindful of your posture. In the beginning, it may help to set a timer (on that phone that is always with you!) throughout your day to remind you to check your posture. Work on core strength! This helps the posture of your whole body! Try a yoga class for flexibility and core strength. It’s the most wonderful time of the year, the holidays are upon us. That means spreading holiday cheer…and possibly cold germs! Yuck! So what can your chiropractor do to help you stay healthy and be able to enjoy all this season has to offer? More than you might think! Your immune system is in a constant battle with germs that surround you daily. Keeping your immune system in tip-top shape is the goal. This helps you to use less sick time and spend more time enjoying your family. We all know the holidays can be a time of great stress, which forces your immune system into overdrive. So keeping your immune system running, not just well, but at maximum levels will greatly reduce your sick time. Your spine plays host to your nervous system and this controls your immune system’s responses. By getting ahead of subluxations (misalignments in the spine) this allows your nervous system to respond to incoming germs in appropriate and healthy ways. 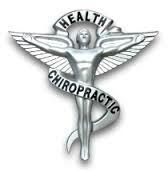 This is when seeing a Chiropractor when you are well becomes your greatest asset. Instead of waiting until you are hurting, plan now to see Dr. Koester on a regular basis. This helps prevent not only pain, but keeps you healthy. If you waited too long and are experiencing pain, make an appointment right away to correct the subluxation, which will lead to better health. Dr. Koester has same-day appointments, so call Long Hollow Chiropractic at 615-851-3900 today to schedule an appointment for the whole family. One of the greatest gifts you can give your family this holiday season is the gift of health! Are you a new patient? Visit our website at www.longhollowchiro.com and see all that Dr. Koester can do to help you! One of the questions often asked is should I use heat or ice? Often, patients want to use heat, but what their body really needs is ice. Heat or ice should always be utilized before pain medications because they are non-invasive and will actually help promote healing, rather than just mask the pain. How do you know the difference and how long should heat or ice therapy be used? We’re here to help! New injuries cause your body to create swelling and inflammation caused by increased blood flow to the injured area. Ice decreases this amount of blood flow, thereby decreasing pain. If you have swelling or bruising, ice will help eliminate some of the swelling and provide relief. It’s best to use ice as soon as possible following an injury. This will provide maximum benefits. Old injuries need blood flow to heal Heat can help muscles to relax and blood flow to provide nutrients to an injury so that it can heal. Heat can also help increase range of motion. Moist heat will penetrate further, increasing healing possibilities. Some options are heating pad, hot water bottle, or gel packs. Heat should stay at a constant temperature. Ask Dr. Koester which heat source would be best for you. Always be sure that heat or ice is not applied directly to skin, wrap in a cloth to prevent injury to skin. Maintain a constant temperature and don’t use either therapy for more than 20 minutes. Don’t fall asleep while using a hot or cold therapy and never lay on top of a heat or cold source. See Dr. Koester first to determine which therapy would benefit you. He can determine what is causing your injury and pain and prescribe the correct balance of therapies along with an adjustment to help you get back on tract to living your best life. Call 615-851-3900 or visit www.longhollowchiro.com today! Same day appointments are available! Is it Safe to *Crack* your own neck? I absolutely dislike when I hear people say they need their neck or back *cracked*! The only thing that is worse…to hear they *cracked* their own neck or back! I know, I know, it sounds like a crack, but what you are actually hearing with the *crack* is a synovial joint will often pop or *crack*, called a cavitation when the joint is moved into the paraphysiologic space. Gas is released which causes the familiar pop or *crack* sound. For some, this is their assurance that the adjustment worked! However, even if you do not hear this sound, your adjustment is still working! Some try to *crack* their own back or neck, but this is just plain dangerous. We have heard stories of people who ask their spouse or kids to stand (or even jump) on their back to alleviate the pain. If you do this, you should reconsider. A chiropractor spends 4 years (post bachelor’s degree) learning how the spine and body work together. They spend an average of 2,000 hours of hands-on time learning to use safe techniques to keep your body functioning properly. If you have someone who is untrained doing your adjustment, they are likely doing more harm than good. When your body feels stiff, this indicates that a joint is restricted in its normal movement. This requires other joints to move more to accommodate the restricted joint. This leads to more stiffness. If you are repeatedly*cracking* a sore spot, you are likely making the joints that are already too loose (the ones that have moved to accommodate the restricted joint) more loose and ignoring the ones that joints that are stuck. This will ultimately lead to more issues. September has arrived and along with it comes…football! As you head out to cheer on your favorite team, try out these recipes designed to be healthier options of some of your favorite eats. So skip the donuts and try some of these delicious recipes! 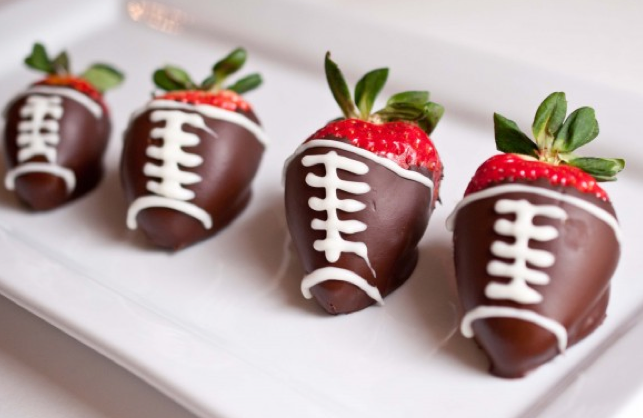 Whether you’re cheering on your favorite team from your sofa or the stands, these recipes are sure to please! This dip swaps out the sour cream for plain greek yogurt and it adds black beans in place of refried beans making it a healthier alternative to typical sever layer dips. Try it with multi-grain tortilla chips! Instead of reaching for a post-game cookie or candy, have these sweet treats ready to go. Kids would love to help prepare these! 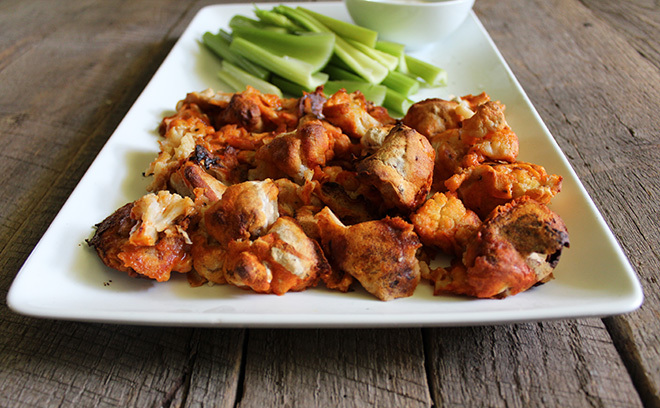 Get the spice of buffalo wings with a fraction of the fat and calories! Also a perfect option for vegetarians at your tailgate! As the weather turns colder, chili is our reward! 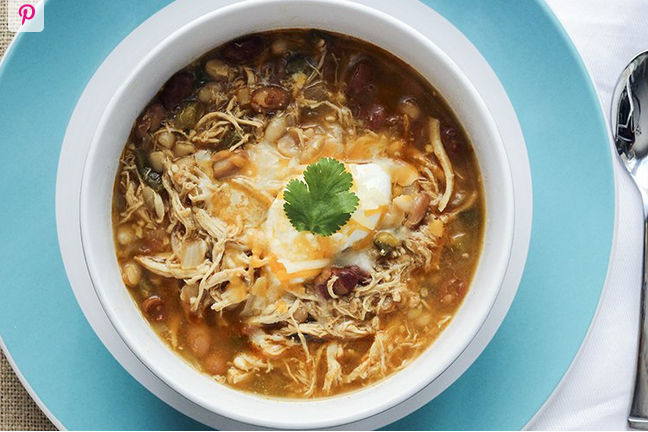 This chili alternative boasts just 8 grams of fat and 298 calories per bowl! Now that is a recipe we can all cheer for! Follow our Pinterest Healthy Eating page for more recipe ideas! Is your child’s backpack causing back pain? It’s that time of year…the kids are headed back to school and you are headed to get school supplies. As you go, take careful consideration of their backpack and what you pack into it each day. The American Chiropractic Association says that a child’s backpack should weigh no more than 5-10% of their body weight. For a child under 100 pounds it should ideally be no more than 5%. Some students are carrying around weight that is dangerous for their spine. An easy way to find out if your child’s backpack is too heavy is to weigh it on a simple home scale. If it is outside the guidelines, take action! When you go to purchase a backpack, bigger is not always better. Children are tempted to fill it, so buy only the size they need. You may be tempted to go with a rolling backpack to save their back altogether, but remember, there will be times when they will need to actually carry the backpack and the rolling hardware adds weight to the bag. If you do purchase a rolling backpack, be sure they will roll it a majority of the time. 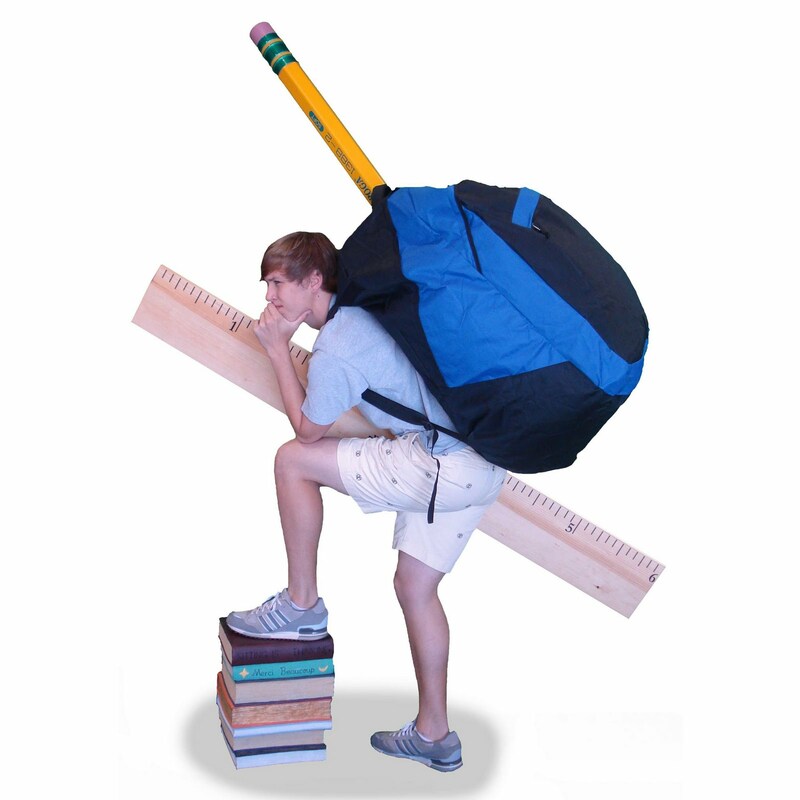 Look for ergonomically designed backpacks that will help distribute the weight across the body. Many backpacks have extra straps that children can use to help them do just that, but may resist using them or not even know what they are until you point them out. You want to choose a backpack that has wide, padded shoulder straps to ease the pressure on their shoulders and back. Regularly go through your child’s backpack to clean out items that they no longer need. Look for options to use online textbooks. Many schools have licenses to allow families to look at textbooks online, eliminating the need to drag home those heavy books. Get regular chiropractic adjustments to keep your spine healthy and contribute to overall health and wellness! Helping your children take care of their spine from an early age will help eliminate back problems for years to come. Think of it as a deposit into their future! Taking a few simple steps now can save them lots of pain as an adult. Dr. Koester in Goodlettsville can help you with all of your chiropractic needs for your whole family. See him today to make a deposit into your child’s health today and for years to come! Pain relievers, are they worth the risk? The FDA has recently revised and strengthened their warning linking heart safety to pain relievers. They raise your risk of heart attack and stroke. Even as much as taking it regularly for a week can put you at risk. While many in the medical field would suggest tying less invasive medications such as Tylenol for pain management, I would suggest something even better… Chiropractic! Spinal adjustments often can completely get rid of your pain, rather than just mask it like pain relievers. Instead of covering up your pain, get to the root of the problem and fix it so you can live a pain-free life without experiencing unwanted side effects. The only side effect of Chiropractic is health! We’ve heard a few misconceptions about Chiropractic over the years. There are many misconceptions about Chiropractic and for some, it’s an unfamiliar plan of treatment. Today we are debunking myths and giving you some information you may not already know! 1. “Once I go to a Chiropractor, I will have to keep going” is a myth. If you come in with pain, Dr. Koester will resolve your problem and will want to see you to be sure that you are maintaining your range of motion. After that, many patients choose to continue a regular schedule to prevent the pain from returning. Most patients choose to keep coming on a regular basis to maintain their overall wellness and maintenance care. 2. Your bones are not actually cracking. One of Dr. Koester’s least favorite expressions is that you are coming in to get cracked. There is actually not any cracking going on. The sound an adjustment makes is called a cavitation and is only space being created within the joint causing gasses to be released from the joint capsule, which creates the popping or cracking noise. Adjustments will not cause joints to wear out. A highly trained Chiropractor, like Dr. Koester, knows just how to specifically improve motion in your joints and this will actually limit your likelihood of developing arthritis. After an adjustment you will feel greater range of motion which leads to better quality of life. 3. Chiropractic is for ALL ages! Many infants are born with subluxations, or misalignments in their spine as a result of the birth process. Regular adjustments can help infants with everything from ear infections to colic to overall wellness. Chiropractic can help children with problems like bed-wetting, allergies, sports injuries, behavioral issues and overall wellness, just to name a few. We all know Chiropractic can help adults who carry too much stress in their bodies and who overextended themselves during activities. Seniors can benefit from Chiropractic, too! As we age, Chiropractic can help decrease joint degeneration and help with balance and coordination. Dr. Koester can care for your whole family! 4. Problems are occurring in your body long before you feel pain. The absence of pain does not equal health. Restricted movement and unstable conditions are likely occurring long before pain begins. 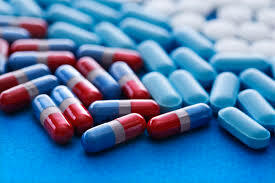 Masking the pain through medication can often worsen a condition because you are not solving the root of the problem. In fact, you are probably making it worse. Not only are you not resolving the issue, you are also making yourself more susceptible to future injuries. Getting regular adjustments will prevent the pain from ever beginning. Dr. Koester is interested in helping you not just feel better today, but live a better life free from pain. 5. You are in charge of your own destiny. Would you be surprised to learn that American’s consume an average of 130 pounds of added sugar each year? Many are hidden in the foods we eat each day. Components of fructose, found in high-fructose corn syrup and table sugar triggers your body to store fat. This has led to a nation of many overweight Americans. 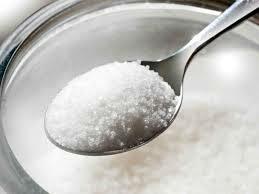 The American Heart Association recommends 5 teaspoons (or 20 grams) of sugar per day for women, 9 teaspoons (or 36 grams) for men, and 3 teaspoons (or 12 grams) for children. To put that in perspective, one can of sugar soda contains up to 12 grams of sugar and a slice of whole wheat bread can have up to 2 grams of sugar. Heart disease, diabetes, cholesterol, and stroke are very much related, so cutting back on sugar will help your whole body, not only today but for your future. Sugar also contains addictive properties, similar to drugs. As you eat more, your brain will need more to keep itself satisfied. Sugar tells your brain that you are hungry, so the more sugar you eat- the more foods you will subsequently eat. We often crave the boost that sugar gives us, but don’t realize that soon you will have an even bigger drop-off in energy. Sugar can actually cause your body to release serotonin, which can make you feel sleepy, rather than getting that energy boost you were seeking.